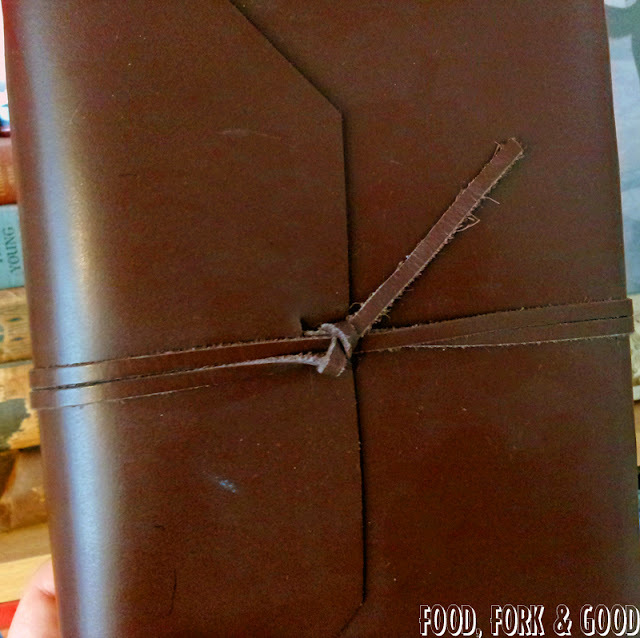 The Memo Book: Vintage Recipes - Fork and Good. Over half of them are recipes for wine. 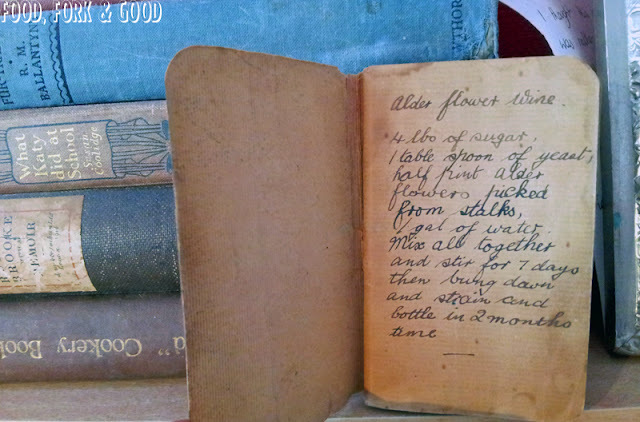 Yep, this is definitely a recipe book from my family tree. 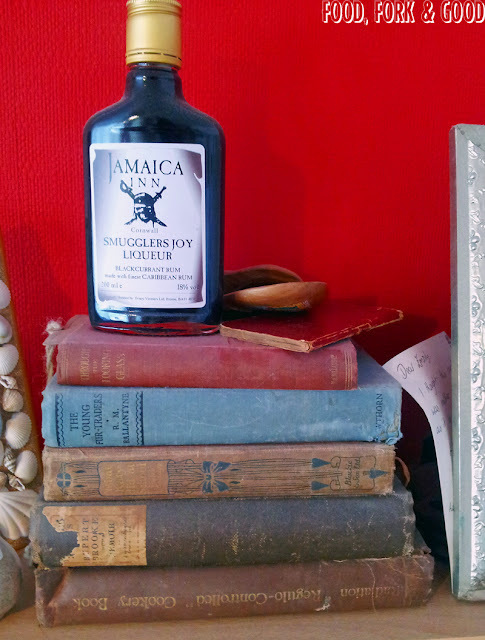 Also, how awesome is my Jamaica Inn rum? I know it's touristy but I love the novel and I'm a sucker for a cool bottle, I nearly spent £30 on a bottle of rum because it had three metal monkeys on it. I love monkeys. Anyway, it's nice to look up to that pile of books and know that despite the time gap, we're both doing the same thing in our respective eras. Cooking and writing about it to share with our friends. (and partly so we don't forget what we've created I'm guessing.) Except thanks to the internet, I can share mine a lot farther than my great great grandma and her little recipe notebooks could reach. So instead of posting the recipe for a pizza I had made this weekend (I've seen three posts from fellow food bloggers on pizza today! There must be something in the air!) 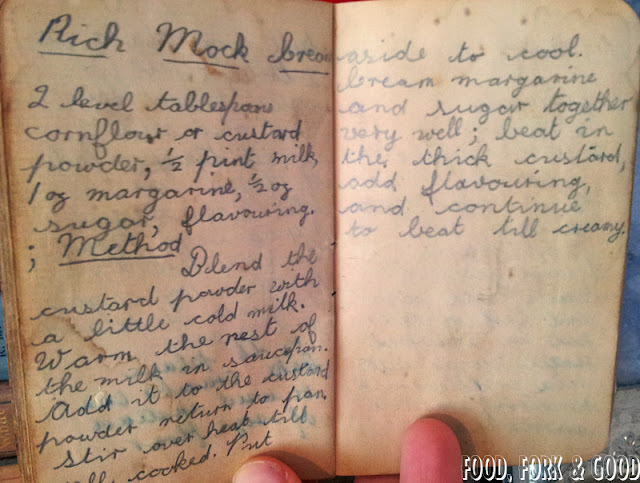 I've decided to share a few of my favourites of her recipes in her own writing. Though because it's my family, some of it's a bit mental, so I'll have to input little things. Here we go; Sharing a true bit of vintage, and a true "grandma's recipe". Mix all together (I'm guessing in a large jar) and stir for 7 days. (I'm also guessing that you can take breaks during this time, not continuous stirring) Then bung down (the stopper on the bottle) and strain and bottle in 2 months time. Note: The wording is a little off putting to some I've shared this with. You stir the wine a couple of times a day for 7 days. Then you "bung down" and let it 'stew' for 2 months. Then when 2 months is up, you strain the wine & it's ready for bottling! This is pretty much the same method I used for my Strawberry vodka. Tidbit: Mock cream was popular during the world wars as dairy products were rationed. Blend the custard powder with a little cold milk. Warm the rest of the milk in saucepan. Add it to the custard powder, return to pan. Stir over heat until well cooked. Put aside to cool. Cream margarine and sugar together very well; beat in the thick custard, add flavouring and continue to beat until creamy. Boil 1 gallon water with potatoes for 15 minutes. Strain and add rind of two lemons and oranges and 1/4 ginger. Pour into pan with sliced lemons and oranges and demerara* sugar and bring to boil. Cask & leave for 1 month before bottling. *It's not mentioned until further on into the recipe that the sugar needed is demerara. 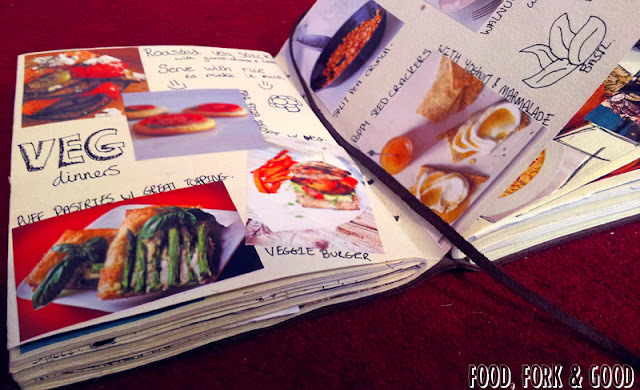 On that note, i'll finish, and share with you my very own "memo book" filled with my own recipes, pictures of inspiring foods I've found and ideas I've had. 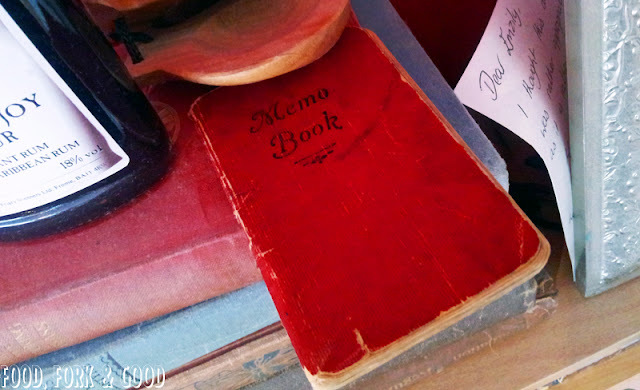 Does any one have a "memo book" of their own? What a beaut. How old is the first book? What a treasure!! I'm so envious. I got one cookbook from my mother and several recipe cards from my father and that's it. I guess I'm so far from the states now that nobody thought I'd want to pay to get it all here.